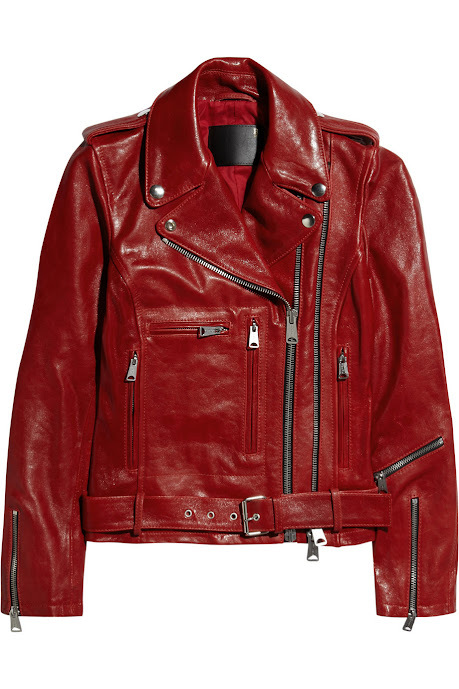 Moto jackets have been everywhere for a while... from runways to red carpets, posh street style and the underground. 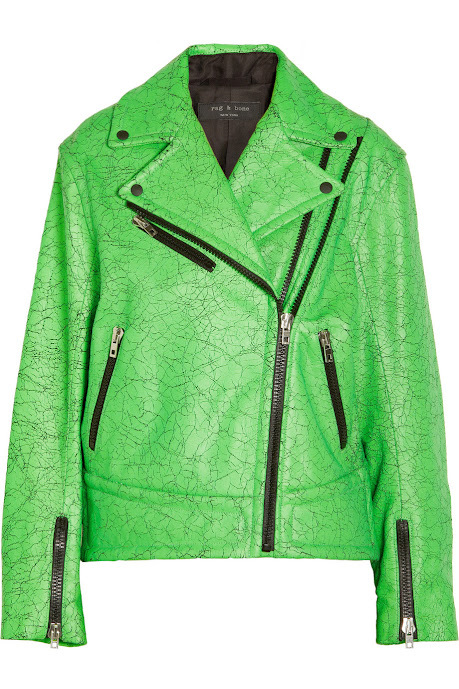 Leather has of course gotten around just as much. 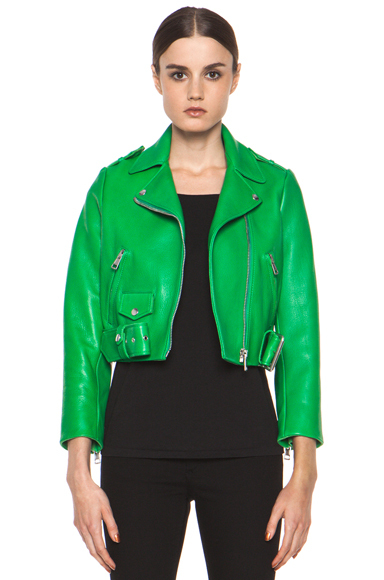 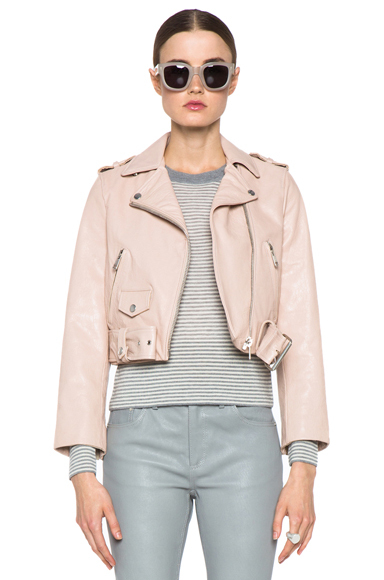 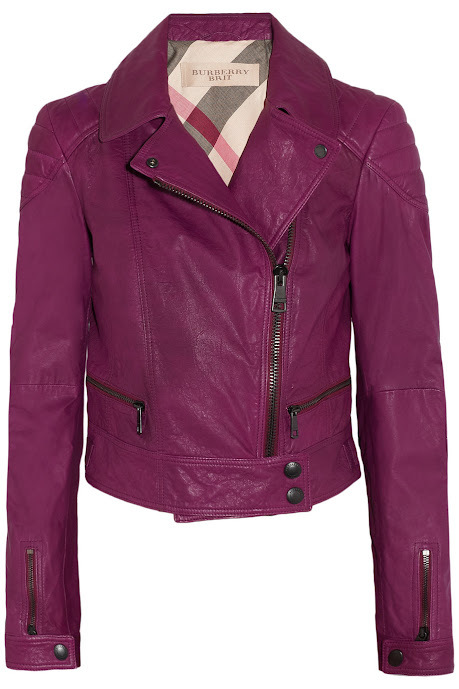 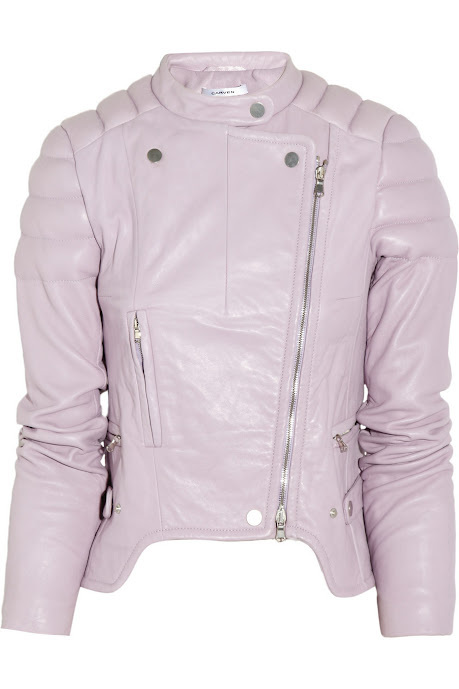 This spring get inspired by a fresher take on the look with fashion colored leather jackets! 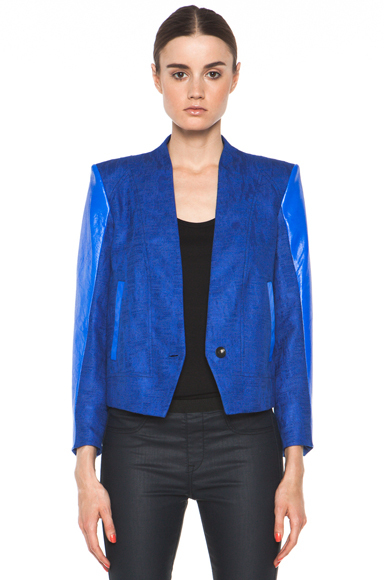 I'm personally in love with the dusty red IRO, cracked acid green Rag & Bone, and the sleek looking cobalt Helmut Lang. 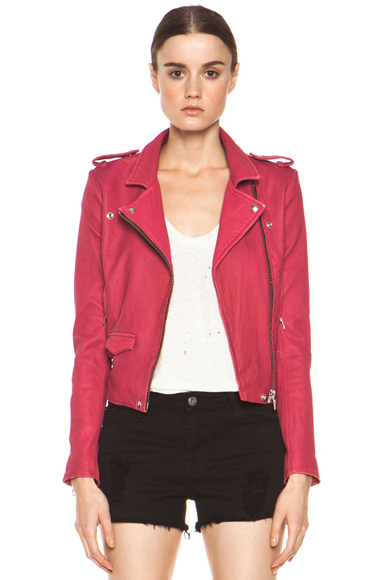 What jacket are you lusting after at this moment?